Garage doors are one of those things that you don't think about until something goes wrong. 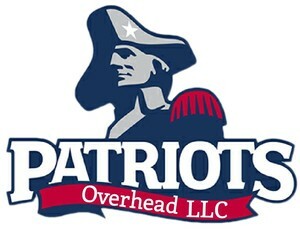 Whether you're in need of residential garage door services or commercial garage door services, call the experts at Patriots Overhead LLC. We pride ourselves on providing an unmatched customer experience, fast and reasonable quotes, and ensuring your experience is easy and satisfying from start to finish. Isaac and Tyler established Patriots Overhead LLC in 2014 after working as garage technicians and moonlighting after-hours doing side jobs. Together, they decided to take a chance to start their own business. Isaac and Tyler have over 10 years of combined experience and are devoted to serving New England with the highest level of customer service at the fairest price! 15% OFF to First Responders & Veterans - always! When you have a problem with your garage door, your home security is probably foremost on your mind. The garage door repair specialists at Patriots Overhead LLC understand the urgency that is required in handling your garage door repair in Warwick. We'll send a crew of competent technicians, armed with tools and supplies. In most cases, your garage door can be repaired on the spot! Immediate service is required when you have a problem with your garage door and when you call Patriots Overhead LLC, we'll be on the scene quickly to assess your needs and get your garage door fixed - quick! Call (401) 384-6384 for a fast response. We carry just about every style of garage door you can imagine and can help you choose a style and color that looks great on your home. 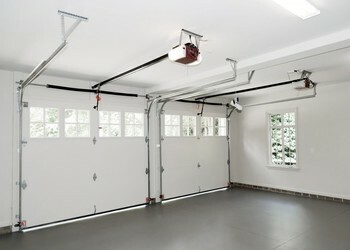 Garage doors are most commonly made of wood, fiberglass or steel. Steel is the least expensive and most popular type. Once you choose the type of door to best suit your home and your budget, the next step is to choose the look. You can select from a wide variety of textures, such as wood grain, and colors to match the rest of your home. We also offer garage doors with windows on the top panel to allow light to enter. Adding windows will generally add about 15-20% to the price of your product.